Turn your wastewater into a liquid asset. The CleanStream System is manufactured by Duracrete Products Ltd, an exclusively New Zealand owned company that specialises in the manufacture and supply of high quality pre-cast concrete products. The CleanStream TEXTILE FILTER Treatment System has been specifically designed for average family lifestyle properties. Developed in New Zealand, the system collects and converts the household wastewater into a valuable and reusable liquid fertiliser, ideal for irrigating permanent low maintenance gardens such as hedgerows, shelter belts, sub tropical plantings, native bush, orchards and lawns. Designed for use on all soil types, CleanStream can be easily disguised to blend into your garden or landscape, and is especially suitable for areas with poor drainage. The system receives household waste which then enters the six-chambered system designed to maximise both anaerobic and aerobic bacteria to break down the suspended solids of normal household waste. The most defining difference when compared to most other similar systems is that the anaerobic/aerobic cycle is repeated a second time, before the settlement, clarification and final pump discharge. This process takes approximately five days to turn wastewater into the final treated water stage. The treated water is then pumped through dripper lines to irrigate your garden, shelter trees or orchard. For technical specifications of this system please visit: www.cleanstream.co.nz. CLEANSTREAM T.X.R. HIGH PERFORMANCE BIOFILTRATION SYSTEM The CleanStream T.X.R. High Performance Biofiltration System is ideal for beach properties, dwellings with intermittent occupancy or larger homes with higher peak loadings. The concept of biofiltration has been around for many decades and has been proven to be a very successful solution to treating household sewage waste for larger family homes. The system receives all household waste which is transferred through a four chambered system and pumped over a biomass textile filter. A process of spraying effluent over the biomass filter on a continuous cycle further cleans the water to a very high quality. The clean treated water exits the system from the pumping chamber into a system of drip irrigation. The final result is nutrient rich, clear water ideal for irrigating planted areas such as orchards, shrubs, gardens and shelter trees. WHY CHOOSE A CLEANSTREAM T.X.R? – A high performance treatment system. – High level of secondary treatments. – Suitable for situations with intermittant use – holiday homes etc. – Low cost operation & maintenance. – Suitable to discharge through drip irrigation. 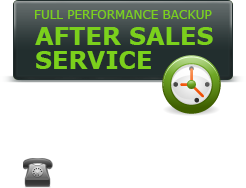 – Easily installed on most sites. – Extended emergency storage 3‚500l. – Early fault detection alarm system. – Not adversely effected by high concentrations of anti–bacterial products. – Capable of handling high volumes of shock loading. For technical specifications of this system please visit: www.cleanstream.co.nz. Manufactured from natural raw materials produced within New Zealand, Duracrete concrete tanks offer a secure water storage option. Devan Plastics manufactures high quality rotationally moulded products for the agricultural, industrial and domestic markets. Devan Water Tanks are very competitively priced, extensively developed and tested. Their tanks have a generous material weight, modern range of colours and minimal installation requirements. The tanks are manufactured from specifically designed polyethylene supplied by ICO Polymers, world leaders in polymer powders. This material has been developed and tested over many years and will not degrade, is UV stabilised for New Zealand conditions and resistant to algae growth (as a result of its formulation, not the addition of fungicides). 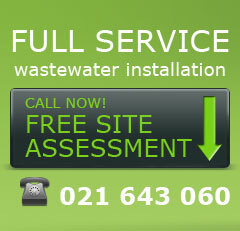 Please contact us to obtain information on the full range of water tank sizes available.